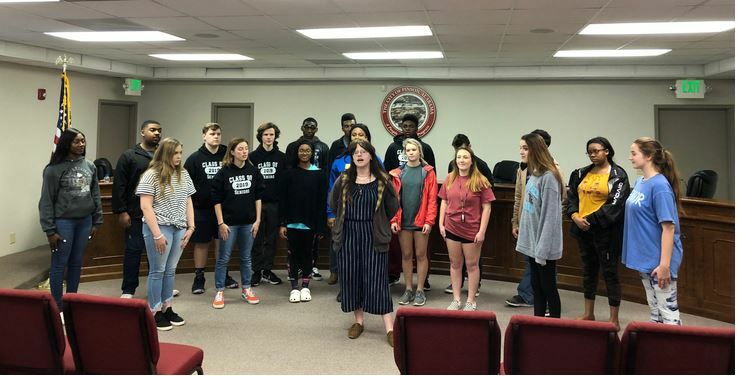 PINSON — The Pinson City Council was honored with a special presentation from the Pinson Valley High School Theater Department at Monday’s city council meeting. Before the presentation, Pinson Valley High School Theater Director John Baily addressed the council. The students performed two songs from “Godspell” for the council. The council also considered purchasing a washer/extractor for the Center Point Fire District. The washer/extractor is a piece of equipment that can save the lives of firefighters. One of the leading causes of death for firefighters is cancer. That is because cancer can be caused by carcinogens that firefighters come into contact with, and can contaminate the gear, when they are fighting fires. The washer/extractor more thoroughly cleans the equipment and protects the health of the firefighters. This particular washer/extractor would be placed in Station 2. There is already a washer/extractor at Station 1, however that piece of equipment is facilitating both stations. The addition of another washer/extractor would increase efficiency and capacity for the cleaning of firefighter equipment. The council voted unanimously to spend $10,889 to purchase the washer/extractor for the Center Point Fire District. 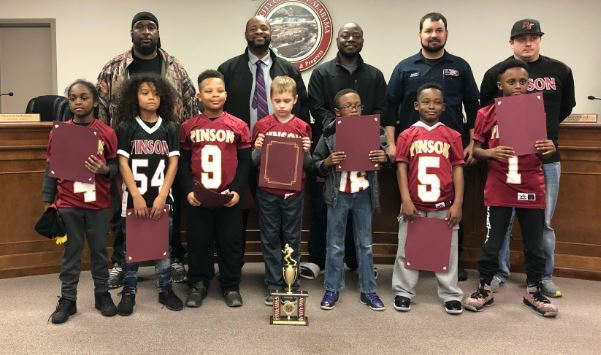 Councilwoman Joy McCain reminded the council that the Pinson Boys’ Basketball team would be honored with a parade on April 6 at 10 a.m. The parade will start at the Pinson Winn-Dixie and will continue to the park. McCain also reminded the council that the Pinson City Fest will be held April 27 from 10 a.m. to 2 p.m. 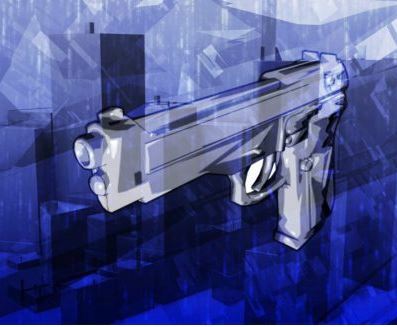 The council considered the purchase of a hand-held radar unit that would be used by law enforcement in Pinson. The hand-held radar unit works well when held at 90 degrees and is very useful for observing traffic speeds in residential areas. The cost of the unit is $1,356. 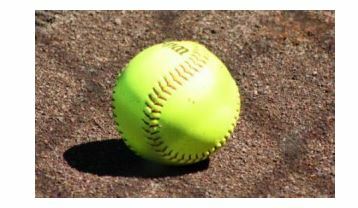 The council voted unanimously to purchase the item. 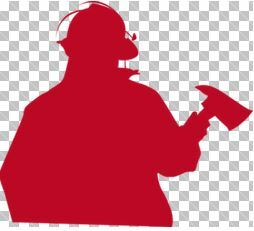 This purchase brings the number of handheld radar units owned by the city to three. The council also considered the purchase of a single hitch mounted radar unit, also known as a speed sign. The device would be used to inform motorists of their speeds while traveling down Pinson streets. The council opted, by unanimous vote, to purchase the speed sign for a price of $3,900. In other news, the city council considered a resolution to re-designate the position of an employee and amend a pay range of a position in the public works department. The council unanimously passed the resolution, which reclassified an employee as a “skilled laborer” with a pay scale of $10-$13 an hour and eligible for any city employee benefit. The resolution also adjusted the pay scale of “crew lead man” from $10-$14 per hour to $10-$15 per hour. The council will next meet on Thursday, April 11.